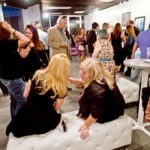 RockStar Gallery is a local artist run organization located in NW Houston. 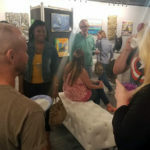 We are a gallery where creative collaborations start, multiple forms of art are expressed and minds of all ages are inspired. Sponsors care about our mission. We invite community members and businesses to invest in the arts and receive a variety of benefits to your business. 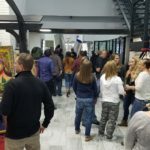 RockStar Gallery provides networking between artists, organizations and businesses in support of the arts to foster community cohesion and arts appreciation. 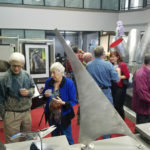 Sponsoring the gallery helps you too. Studies show that cultural audiences are 40% more likely to visit your business because of your support and affiliation with organizations like ours. Show your community that you support local artists and the community! Your sponsorship comes with many great acknowledgement options. Acknowledgement on the sent via EMAIL (500+ impressions) POSTERS displayed around town, PAID ADVERTISING that reaches your clientele, WEB presence, FACEBOOK and your LOGO displayed at the event to art lovers. There are many ways to participate and we hope you will find one that fits your budget. You will also be invited to our special VIP Dinner!